The US and China have agreed not to accept "freeze for freeze" agreement on North Korea, President Donald Trump has said. The US and China have agreed not to accept "freeze for freeze" agreement on North Korea, President Donald Trump has said as he pledged a global campaign of "maximum pressure" to denuclearise Pyongyang. 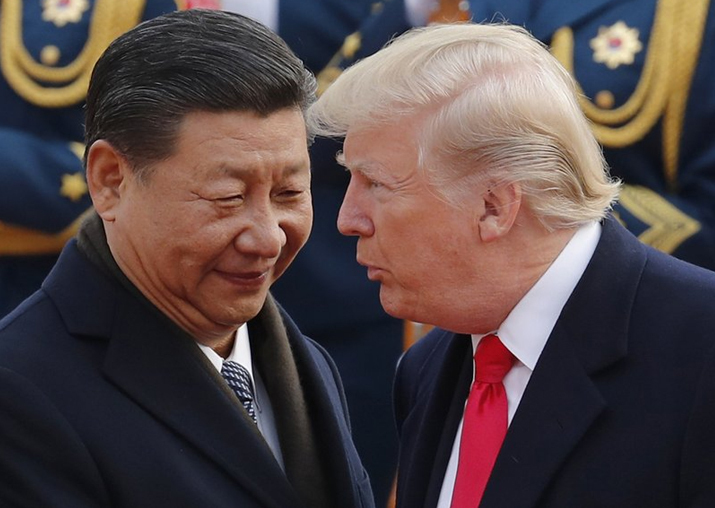 During his recent trip to China, Trump said Chinese President Xi Jinping pledged to faithfully implement United Nations Security Council resolutions on North Korea and to use his great economic influence over the regime to achieve their common goal of a denuclearised Korean Peninsula. "President Xi recognises that a nuclear North Korea is a grave threat to China, and we agreed that we would not accept a so-called "freeze for freeze" agreement like those that have consistently failed in the past. We made that time is running out and we made it clear, and all options remain on the table," Trump said. In a televised address to the nation after his 12-day trip to Asia, Trump said North Korea was on the top of his priority list. Trump travelled to Japan, South Korea and Japan for bilateral visits. He visited Vietnam and Philippines to attend the APEC and East Asia Summits respectively. In Japan, Trump said he and Japanese Prime Minister Shinzo Abe agreed on their absolute determination to remain united to achieve the goal of denuclearised North Korea. Shortly following his visit, Japan announced additional sanctions on 35 North Korean entities and individuals. Japan also committed to shouldering more of the burden of our common defence by reimbursing costs borne by American taxpayers, as well as by making deep investments in Japan’s own military, he said. This will include purchases of US advanced capabilities -- from jet fighters to missile defence systems worth many, many billions of dollars -- and jobs for the American worker, he added. Trump said addressing the national assembly of South Korea, he made clear he will not allow "this twisted dictatorship" to hold the world hostage to nuclear blackmail. "I called on every nation, including China and Russia, to unite in isolating the North Korean regime -- cutting off all ties of trade and commerce -- until it stops its dangerous provocation on -- and this is the whole key to what we're doing -- on denuclearisation. We have to denuclearise North Korea," he said. "We have ended the failed strategy of strategic patience, and, as a result, we have already seen important progress --including tough new sanctions from the UN council -- we have a Security Council that has been with us and just about with us from the beginning," he said. South Korea agreed to harmonise sanctions and joined the US in sanctioning additional rogue actors whose fund and funds have helped North Korea and North Korea's nuclear and ballistic missile programmes," he said. "It's unacceptable to us," he added. The US welcomed the decision of President Moon Jae-in to remove the payload restrictions on missiles to combat the North Korean threat. "And together we reaffirmed our commitment to a campaign of maximum pressure," he said. Trump said at all the summits and throughout the trip, he asked all nations to support his campaign of "maximum pressure" for North Korean denuclearisation. "They are responding by cutting trade with North Korea, restricting financial ties to the regime, and expelling North Korean diplomats and workers,” he said.